Full line of Dakine women's gloves are designed with your needs in mind, specifically Dakine focus on a narrower fit for dexterity and extra winter warmth. 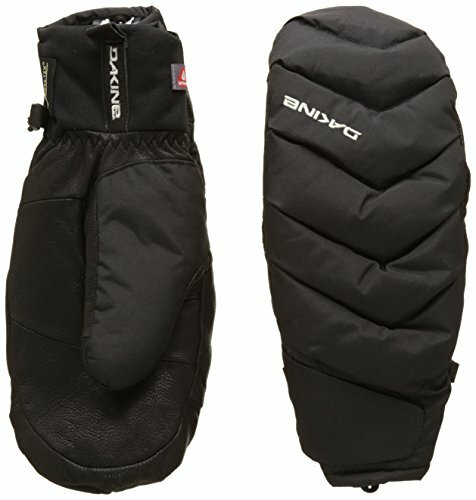 They got you covered for all conditions, from deep blustery winter riding mitts to mild weather gloves for riding the Mt. Hood glacier. All Dakine non-leather gloves can be machine washed, gently press out excess water before hanging to dry. Dakine don't recommend turning the gloves inside out for cleaning. When possible allow gloves to dry at room temperature rather than placing them near a heater or in a dryer as this may damage the materials. This gloves feature: Gore-Tex plus Gore Warm technology, waterproof and breathable insert, Allied Down and Primaloft insulation, durable water repellent leather on palms, polyester with DWR treatment shell, silky high pile fleece lining, adjustable hook, loop cuff closure and two year limited warranty. Material: Gore-Tex, Polyester.